In 1965 Indonesia had the largest communist movement in the world outside of the Soviet Union and the People's Republic of China. Indonesian President Sukarno supported the movement and was edging Indonesia towards socialism when a mutiny coordinated by D. N. Aidit, chairperson of the Indonesian Communist Party, was launched on the last day of September 1965. The backlash destroyed the movement. As Max Lane describes in "Catastrophe in Indonesia", though Aidit's attempt to replace the anti-communist army leadership was organized without the knowledge of the communist party, the army launched a subsequent propaganda campaign against the communist movement. Consequently, the government collapsed, opening the way for an extremely violent uprising in which over a million people were killed and tens of thousands imprisoned. All left-wing ideas and activities were banned - and remain so today. 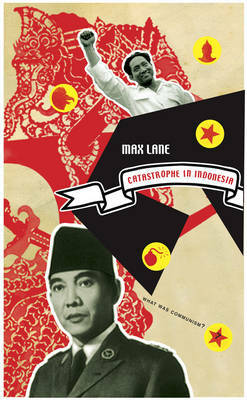 In "Catastrophe in Indonesia", Lane probes this massive and complicated collapse of communism, providing a thorough and knowledgeable explanation of how the movement's leadership trapped itself in such a disastrous situation. He then brings the story up to the present, analyzing the overall impact on Indonesian politics and the re-emergence of a new Indonesian left today.